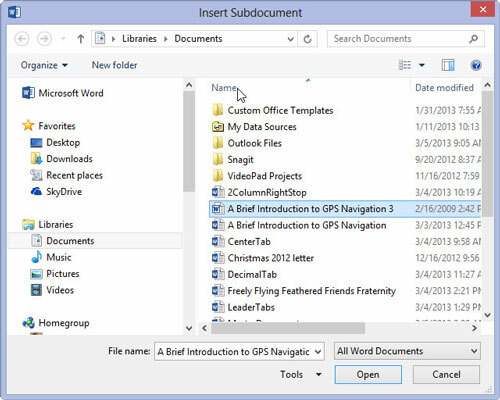 The Master Document feature in Word 2013 allows you to collect and coordinate individual documents — called subdocuments — and cobble them all into one, large document. When you have a master document, you can assign continuous page numbers to your work, apply headers and footers throughout the entire project, and take advantage of Word’s Table of Contents, Index, and other list-generating features. 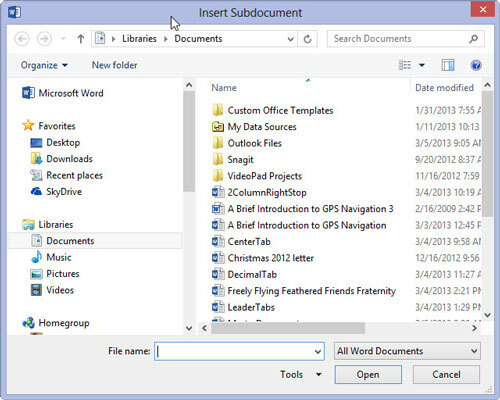 1Start a new, blank document in Word and save the document. You haven’t yet written anything. 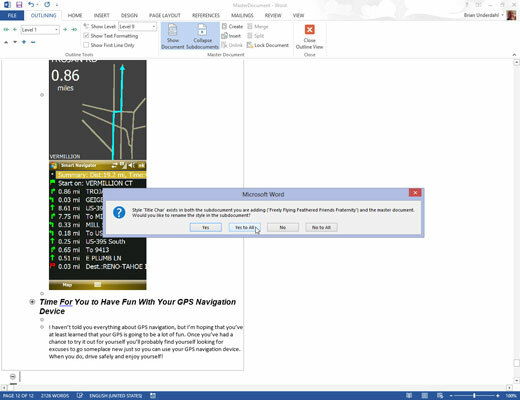 Don’t worry: By saving now, you get ahead of the game and avoid some weird error messages. Click the Outline button on the View tab. 3On the Outlining tab in the Master Document group, click the Show Document button. More choices appear in the Master Document group. One of those choices is the Insert button, used to build the master document. You will see the Insert Subdocument dialog box. 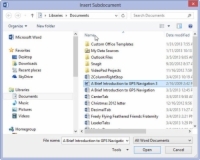 5Use the Insert Subdocument dialog box to hunt down the first document to insert into the master document. The documents must be inserted in order. 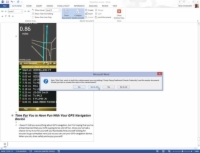 6Click the Open button to stick the document into the master document. 7Repeat Steps above to build the master document. If you’re asked a question about conflicting styles, click the Yes to All button. It keeps all subdocument styles consistent with the master document. 8Save the master document when you’re done. At this point, the master document is created. You can edit the headers and footers, create a table of contents, and work on other items that affect the entire document.